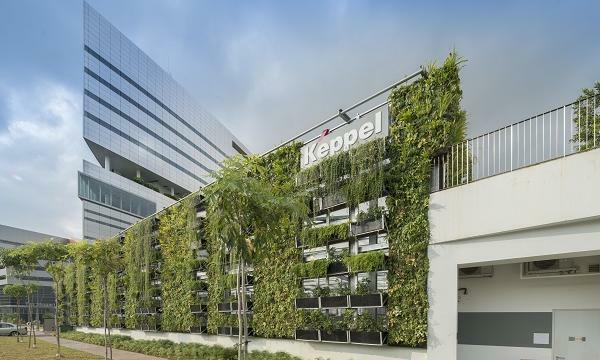 Singapore came in fifth place across the six major gateway cities in Asia Pacific (APAC) analysed in terms of the largest volume of green office space with approximately 13 million sqft, according to a report by CBRE Research. Shanghai topped the list with more than 20 million sqft or around 80% of new office buildings certified as green spaces, followed by Hong Kong (19 million sqft) and Beijing (16.5 million sqft). Tokyo rounded up the lot with an estimated 4.9 million sqft of certified green space. “In Tokyo, the language barrier has inhibited the certification of office buildings as Leadership in Energy and Environmental Design (LEED) is only available in English, although many properties in this market have installed energy efficiency and low-carbon features,” CBRE Research said in its report. LEED is the most common and mature rating system from US and is used as a framework in developing local green building standards. Government policy plays a key role in promoting the growth of green buildings across the APAC region, with authorities implementing measures such as mandatory regulations requiring compliance with building construction codes and operation on top off incentives to encourage green building development. According to the report, gross floor area (GFA) concession schemes can provide considerable benefits to property owners by allowing additional floor area for properties certified under green building rating schemes for climate and urban environment such as Singapore’s Green Mark. Under the Green Mark GFA incentive scheme, developers are provided with 2% of additional GFA if the property achieves a Green Mark Platinum rating. 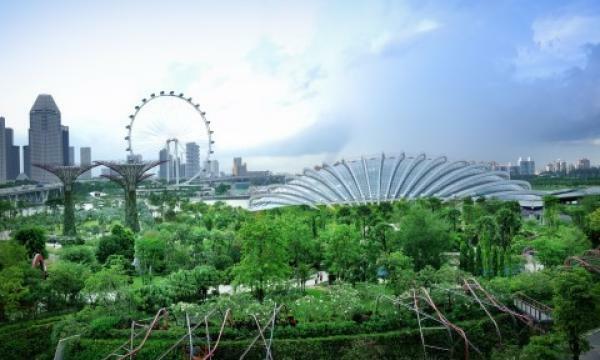 In Singapore, the government’s third green building masterplan was published in 2014 and it includes a target of achieving the local Green Mark standard for 80% of all buildings by 2030. It’s adoption rate stands at 27% as of 2018. The report noted how some larger developments have reported savings on facilities management costs on the back of implementing various environmental and sustainability measures. For instance, the 741,000 sqft Galaxis property at 1 Fusionopolis Place reported savings of $1.68m (US$1.23m) per year thanks to measures implemented by the landlord which includes extensive greenery, high efficiency air-conditioning, intelligent light controls and eco-friendly interior fitting and materials. Likewise, 12-storey commercial building Visioncrest Commercial along Penang Road reported $246,553.20 (US$180,000) in savings from energy efficiency improvements through low cost energy conservation measures and enhancements to building management policies and processes. Meanwhile, the report noted how investors must formulate strategies to presence and enhance their portfolios to stay relevant in the new sustainable built environment paradigm. One such measure is to explore the development of net zero buildings which the World Green Building Council (WGBC) defines as a building that is highly energy efficient and fully powered by either or a combination of on-site and off-site renewable sources. “In September 2018, the first global net zero carbon buildings commitment was officially launched in San Francisco as part of the Global Climate Action Summit,” CBRE Research added. “22 cities including Sydney and Tokyo from APAC signed up to the commitment.” Real estate conglomerate Frasers Property was also one of the corporate signees. Government regulations and incentives, coupled with greater awareness of potential cost-savings and a shift towards corporate social responsibility will continue to drive the growth of green buildings across APAC, CBRE highlighted.